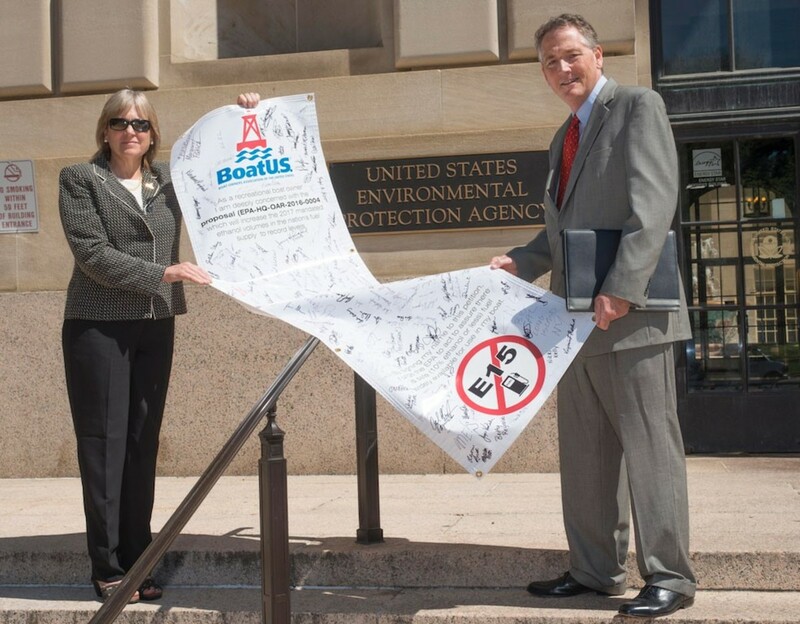 BoatUS president Margaret Podlich and government affairs manager David Kennedy delivered more than 24,000 comments last week from boaters who want the Environmental Protection Agency to stop adding ethanol to the fuel supply. 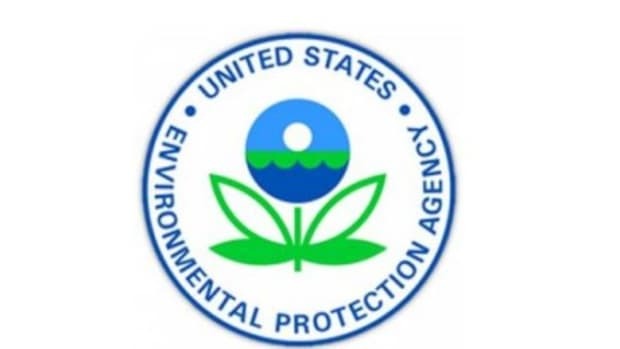 If accepted, the EPA’s proposed levels will require the use of a record amount of ethanol, forcing higher-level ethanol fuel blends, including E15, into gas pumps. 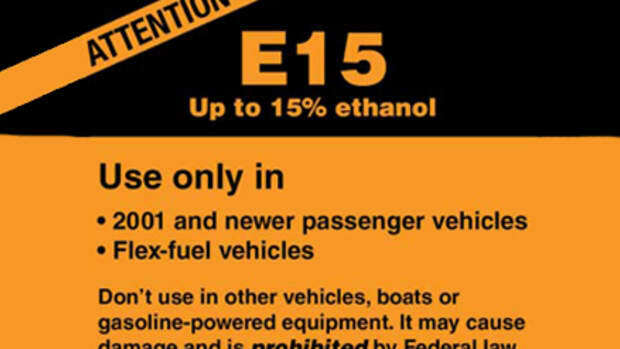 “A sticker on the pump, mixed in with all the other labels, may be the only warning for E15 gasoline,” Podlich said in a statement. 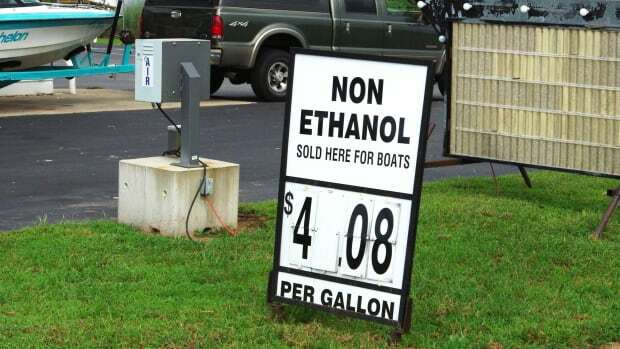 Most marine engines are built to only work with as much as 10 percent ethanol; the EPA prohibits the use of gas containing more than 10 percent ethanol in any marine engine. 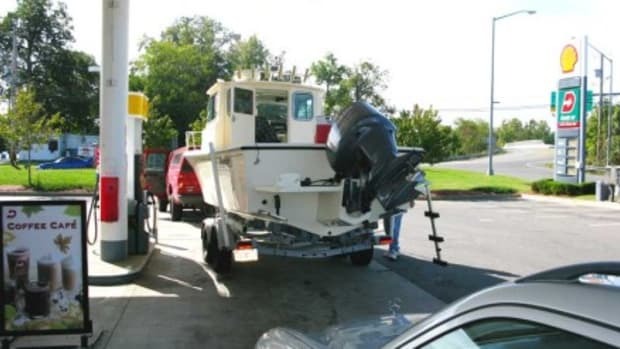 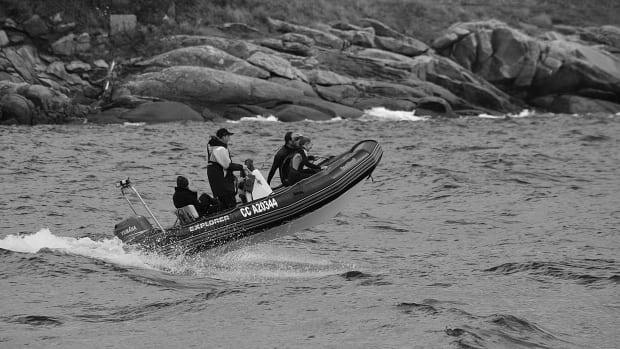 The national boating advocacy, services and safety group has voiced concern about the significant potential for “misfueling,” putting boaters at risk by using fuel that could damage their engines. 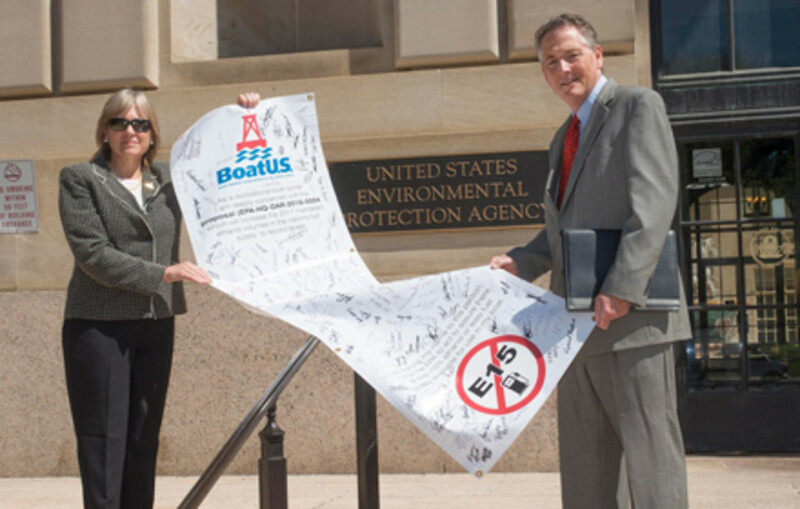 BoatUS delivered more than 24,000 boaters’ comments on the ethanol issue to the Environmental Protection Agency.